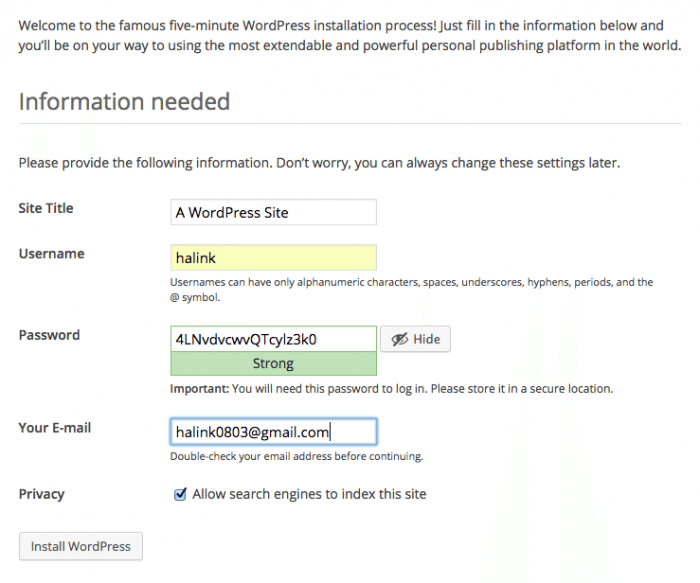 As a part of the WordPress 101 series – fundamental knowledge about WP, in this article of Installing WordPress Locally, I will introduce you steps to local WP installation. Either you are a normal WP user who just uses WordPress as a blog or website framework or you are a WordPress developer who creates WP themes, plugins, you all have to know how to install WordPress in your computer. This simple work will help you test the site locally with a virtual server, so there is no need to buy a real server to test it. MAMP stands for Macintosh, Apache, MySQL and PHP. There are 3 ways of installing WordPress locally on Mac and Windows using MAMP for Mac, WAMP for Windows and XAMPP for both. You can choose one of your interests, the installation ways are similar so today I just shortly introduce you how to do it with XAMP which I am using. WAMP stands for Windows, Apache, MySQL and PHP. First of all, you have to download XAMPP from its official website. Then, install XAMPP to your computer. In the process of installing XAMPP, you should choose the directory of XAMPP to the partition differently from the one containing system file. 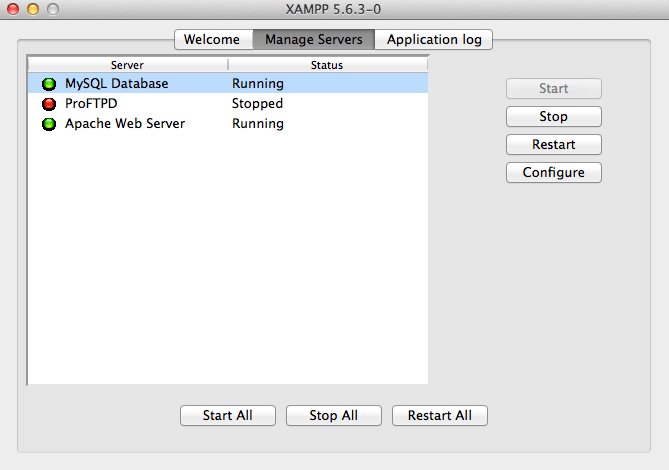 Cos when the re-installation of your operating system is requested, you do not have to back up the XAMPP files. After installing XAMPP successfully, open the XAMPP application (name “manager-osx” on OSX) and start running Apache web server and MySQL. 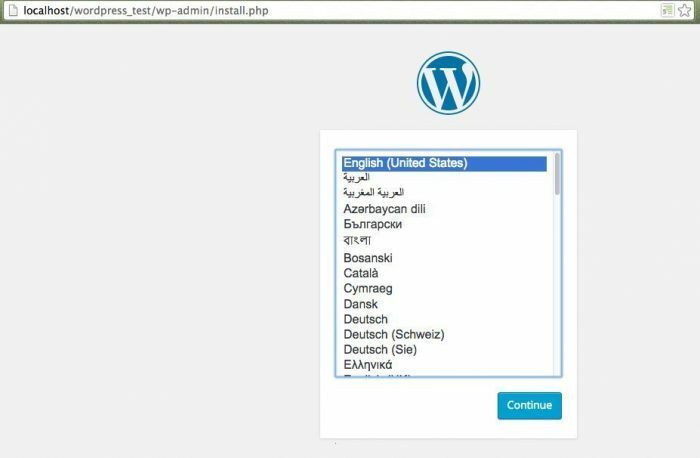 Choosing a language for your WordPress site. Providing necessary information for your site and click Install WordPress then the WordPress site is ready to run locally in your computer. In order to create Multisite WordPress, you need to edit wp-config.php. You can follow detail official instruction from here. There are many ways to run WordPress locally instead of online installation for developing and testing. XAMPP is a cross-platform tool and also an open source, it means you can use it in any operating system and free. XAMPP allows you to operate WordPress perfectly in a closed environment to your real online website in the future. Do you use XAMPP? Tell us your thought about it. In future posts, we will introduce you how to deploy a ready site online easily and automatically.